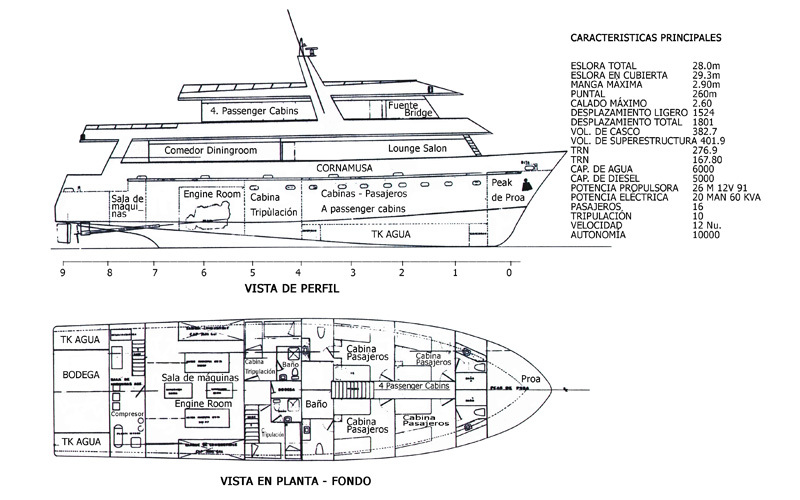 Built in 2002, the Deep Blue is one of the newest yachts sailing tour-deepblue-yachtthe Galápagos Islands. The Deep Blue accommodates 16 passengers and is divided into eight double cabins with lower beds, private bathroom and air conditioning. With comfortable social areas, sun deck and salon, the Deep Blue provides a comfortable setting for you enjoy an unforgettable Galápagos experience. (Scuba Diving is available on the Deep Blue; please contact us for more information). 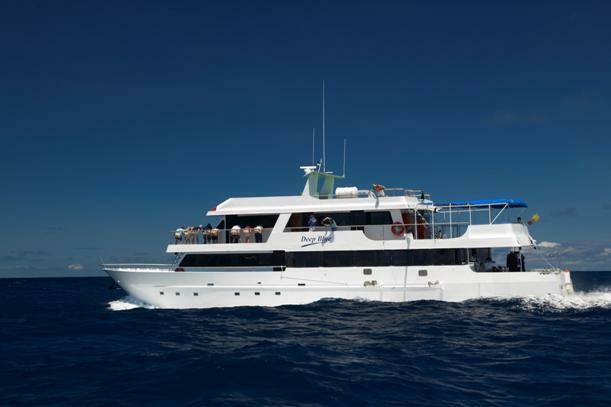 It is a large, comfortable vessel with spacious cabins and plenty of space for 16 divers (although, it can accomodate 18). Underwater photographers will be happy, as there are two camera tables and a huge rinse tank.